2018 – 50 years of scientific ocean drilling! Ngā mihi o te tau hou!! Happy New Year from the JOIDES Resolution! We had the pleasure of celebrating the start of 2018 just west of the international date line, in the first time zone!! 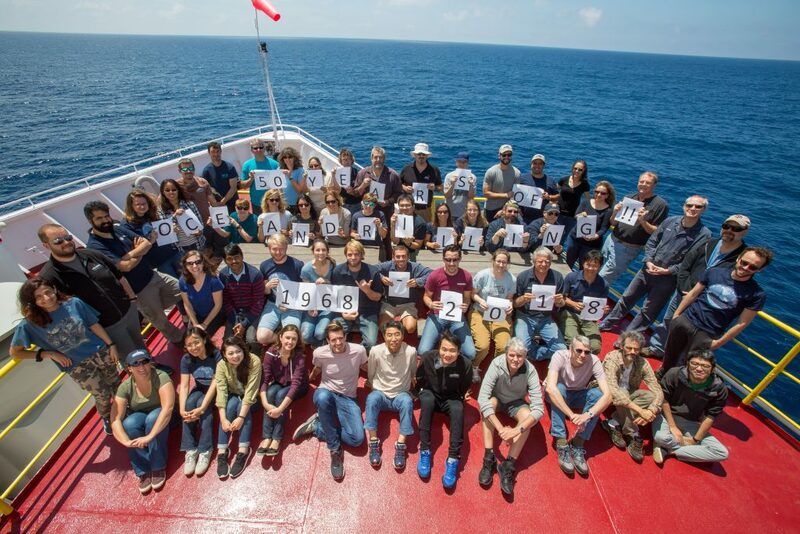 2018 is an important year for IODP because it represents 50 years of the scientific ocean drilling program. The program name may have changed over the years, but the goals and objectives have continued to be related to discovering Earth’s secrets! Here on expedition 372, we had the pleasure of kicking the new year off right with a combination of work and fun! We arrived at our final site a few minutes before midnight, engaged the dynamic positioning system (DP), and began sending pipe down 730 meters to the seafloor. While a few crew members were hard at work getting ready to drill at our final site, some of the science party members, technical staff, and the rest of the crew were celebrating the new year with dancing and festivities. The movie room turned into a dance floor and we danced until 2017 only had 15 minutes to go! Then, we all assembled at the picnic tables to watch the ball drop! 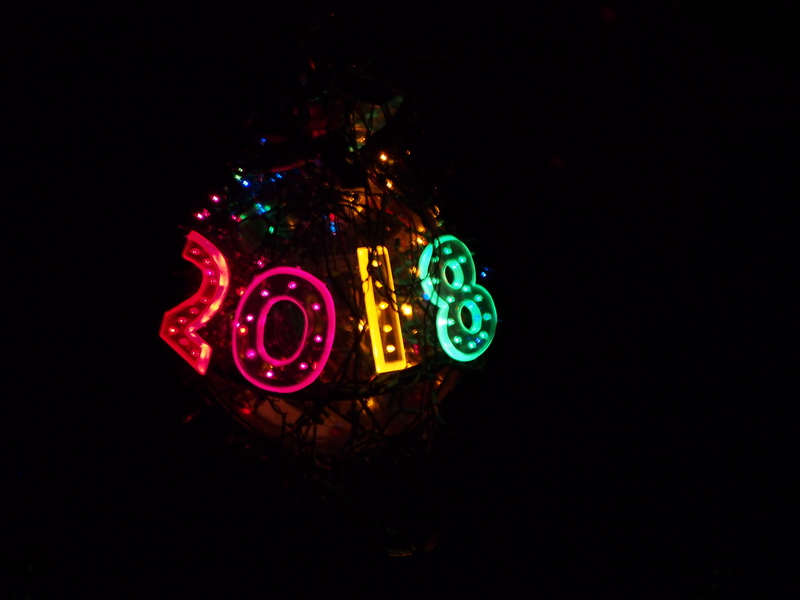 The ball was a glass sphere that one of the engineers had covered with lights and some hand-tooled numbers reading 2018! In keeping with JR tradition, a bell was rung by the oldest and youngest individuals on the ship to send off 2017 and welcome 2018, the ship’s horn sounded, and the ball was lowered from the bridge to the bow as we counted down to 2018. Happy New Year from everyone on Expedition 372! Here’s to another 50 years of scientific ocean drilling!